The winner of the Federal Street Design Competition has been announced. The winning design is by Melbourne-based architects Woods Bagot, in partnership with New Zealand architectural firm Peddle Thorp. Standing at around 180 metres high, the 48 level multi-use tower will contain 226 apartments, a 233 room five star hotel, a ground floor Market Place and a rooftop zen garden. In May this year, SKYCITY Entertainment Group’s $40 million sale of a 1641 sq.m. 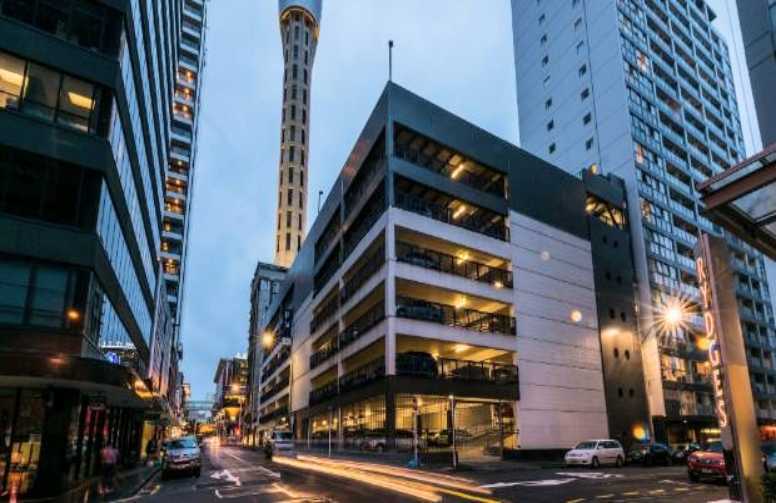 carpark property at 65 – 71 Federal Street to Australian property group ICD Property Investment Pty Ltd represented one of the highest prices per square meter ever paid in Auckland’s CBD. ICD Property is operated by Michael Mai whose father is Boliang Mai, the president of the partly China state-owned shipping giant China International Marine Containers Group. A design competition for a high-rise hotel and apartment complex on the property and what is reported will be a $200 million project, has resulted in the selection of five finalists from several international presentations; Zaha Hadid Architecture, Woods Bagot, Cox Architecture, and Elenberg Fraser together with one New Zealand presentation from Warren and Mahoney. Participating architects were required to present two building designs for the site, one compliant with Auckland Council’s current planning rules and a second which demonstrates what might be achieved given more ambitious Auckland planning requirements. Elenberg Fraser was established in 1998 by Zahava Elenberg and Callum Fraser and has subsequently spread to several locations in Australia and also in China. Warren and Mahoney is a New Zealand based company which is spread over seven locations. Woods Bagot operates out of fifteen studios in Australia, Asia, Europe, Middle East & North America. The competition judges were Graeme Scott, Julie Stout, Alice Smith and Phil Eaton.